From left to right, Laneige Clear-C Effector (sample size), powder essential skin refiner (light), water bank essense, water bank gel cream. 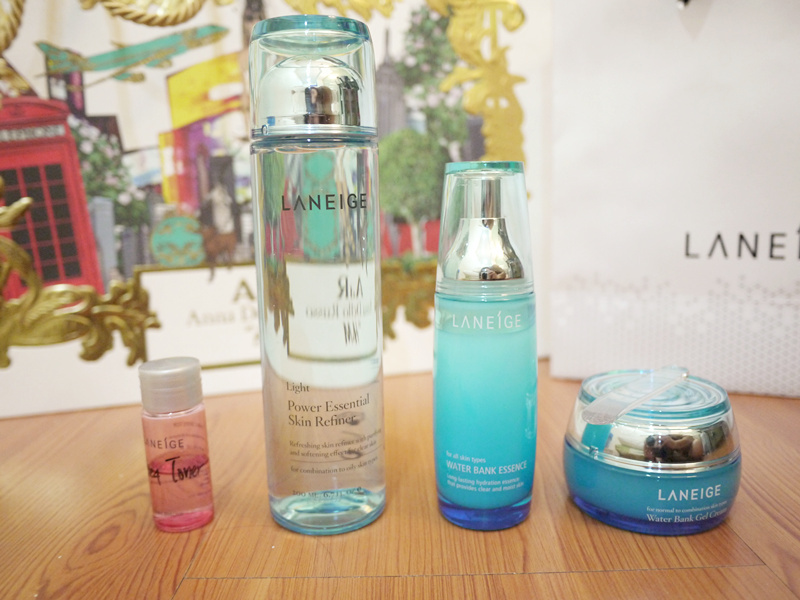 These are my favourite skin care products from Laneige! I like these products, Laneige Clear-C Effector helps to double the effects of the following skin care products, Laneige Essential Skin Refiner, like a toner, helps to eliminates impurities in the pores and removes kerantin for clear and transparent skin. Laneige Water Bank Essense and Laneige Water Bank Gel Cream provide moisture to the skin. I personally have combination skin which I really feel annoying sometimes, because the T zone is oily but the cheek area is dry. So gel cream suits me well as it doesn't cause any oily spot or dryness to my skin. Recently, two items added to my skin care family, which are Laneige Blackhead Melting Gel and Laneige Blackhead Pore Strip. I found it suits me as well, blackhead melting gel gently removes the blackheads and dead skin cells while blackhead pore strip helps to removes the blackhead, combination of these two products is perfect! 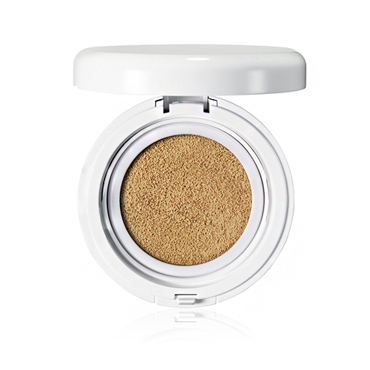 I wish to try on the recent famous Laneige Snow BB Soothing Cushion for now, it's the new concept cushion BB for whitening + sun-screen + sweat-proof + soothing + makeup effects. Sounds amazing right?